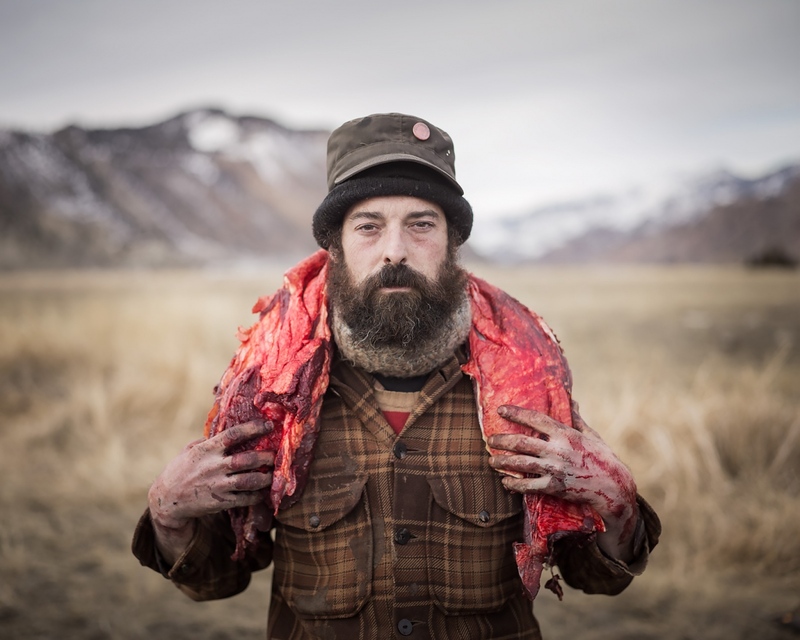 This series of photographs focuses on a small group of primitive skills practitioners who attend the annual buffalo hunt on the perimeter of Yellowstone National Park in Montana to scavenge animal parts and other animal products left behind by Native American hunters. 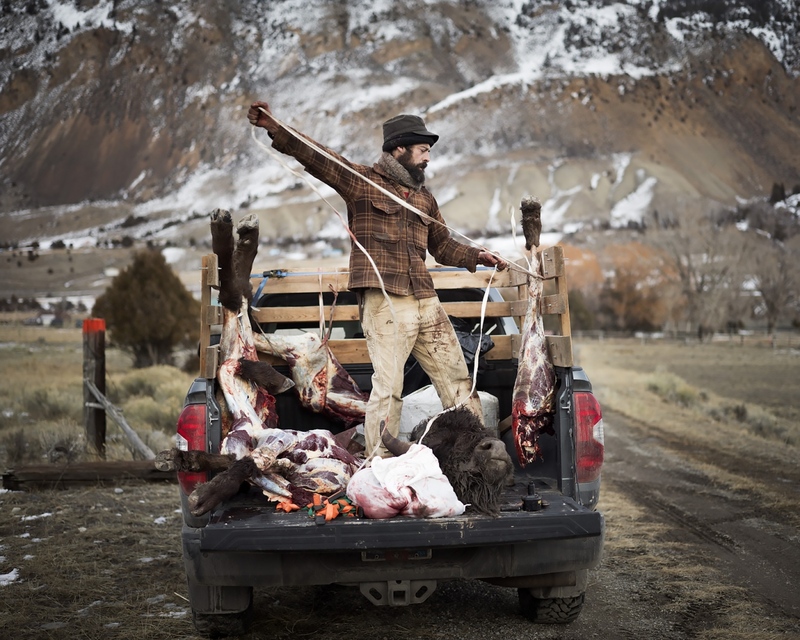 After offering assistance to hunters by field dressing, skinning, quartering and carrying off buffalo to vehicles for transportation, any meat scraps left behind are canned or packaged, fat is rendered and placed in jars, hides are tanned and bones are used to make primitive tools and ornamental objects. 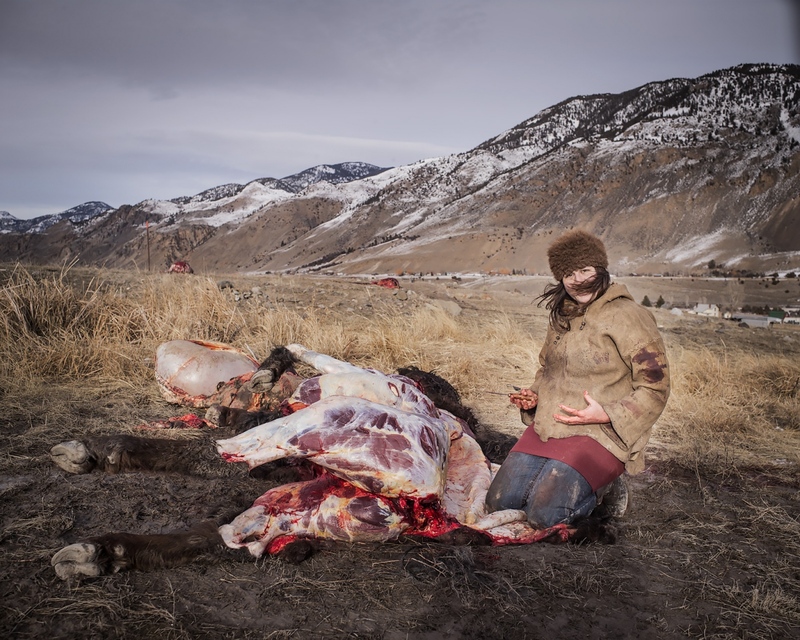 These individuals see themselves as a neutral party to the often controversial polemic around the hunt and management of Yellowstone buffalo, and aim to make use of what would otherwise be left behind. 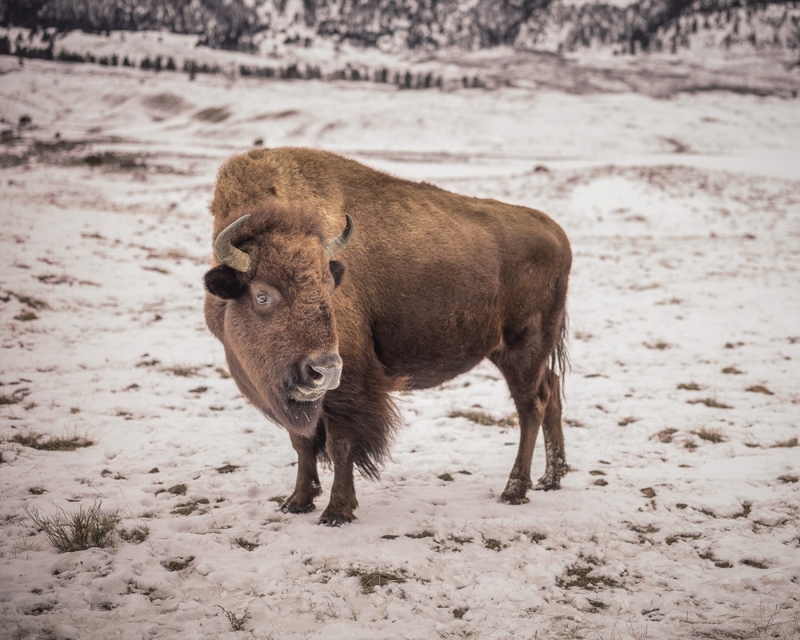 In 2006, Montana gave permission to the Nez Perce of Idaho and the Confederated Salish and Kootenai tribes of northwest Montana to hunt buffalo (American bison) on federal lands outside the border of Yellowstone National Park. 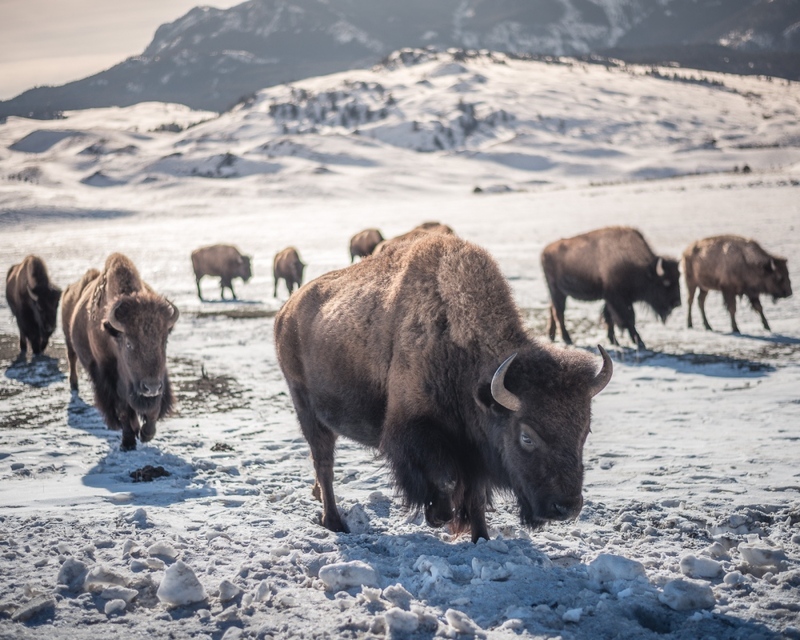 During winter months, buffalo migrate to lower elevations outside the park in search of food. 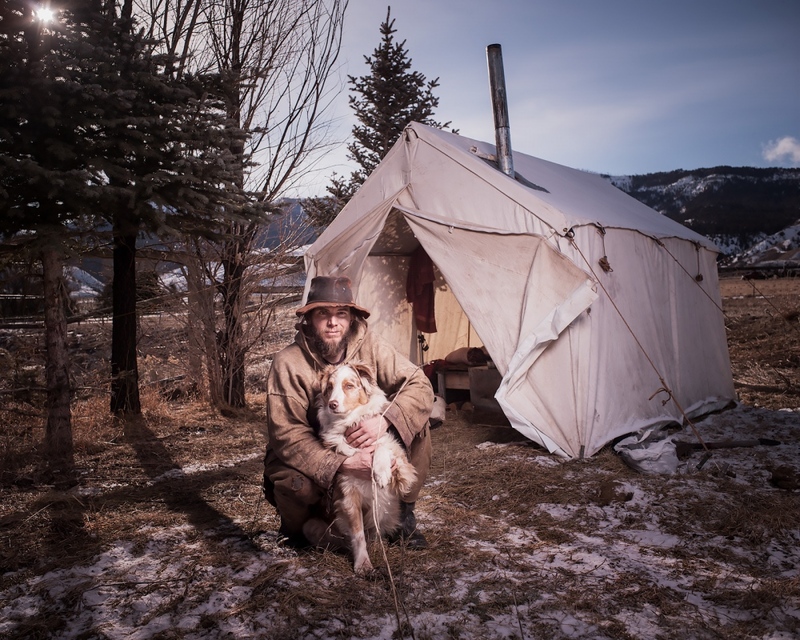 The tribes' 1868 Fort Laramie Treaty with the federal government grant them the right to hunt on traditional hunting grounds that are now public land, such as the Gallatin National Forest bordering the park. The interpretation of these treaty rights has been caught up in complicated litigation since the 1980s. 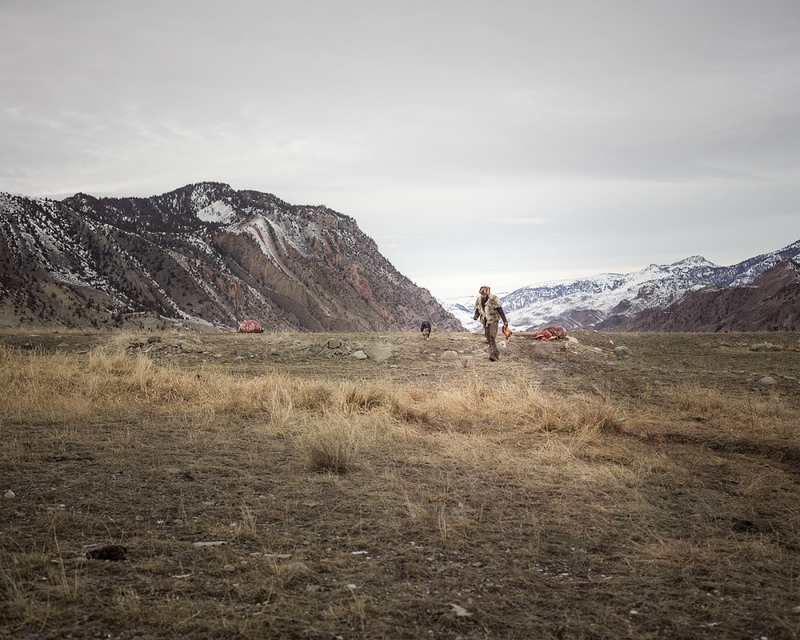 Additionally, the Cayuse, Walla Walla and Umatilla tribes of Washington, and the Shoshone-Bannock of Idaho also have recognized hunting rights today. 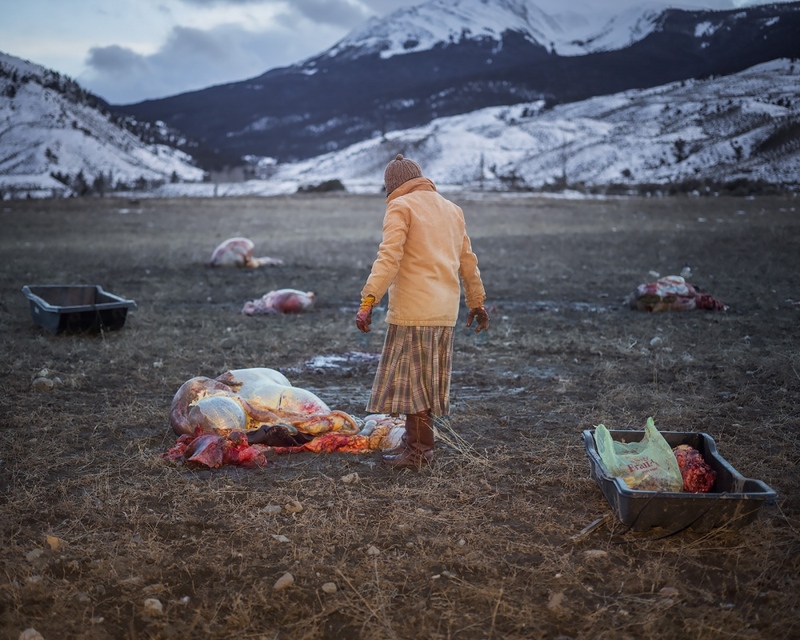 My current series of photographs focuses on a small group of primitive skills practitioners who attend the annual hunt to scavenge animal meat and other animal products left behind by Native American hunters. 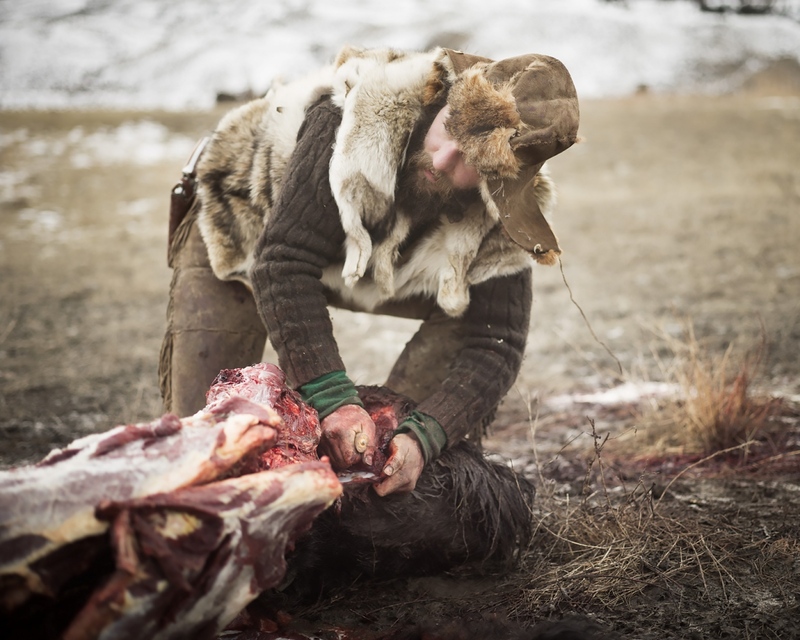 After offering assistance to hunters by field dressing, skinning, quartering and carrying off buffalo to vehicles for transportation, any meat scraps left behind are canned or packaged, fat is rendered and placed in jars, hides are tanned and bones are used to make primitive tools and ornamental objects. 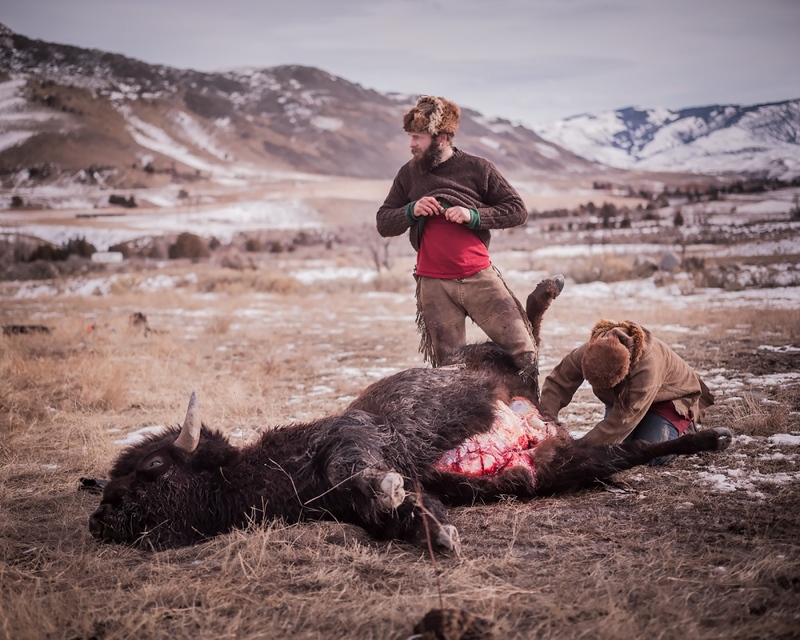 These individuals see themselves as a neutral party to the often controversial polemic around the hunt and management of Yellowstone buffalo, and aim to make use of what would otherwise be left behind. 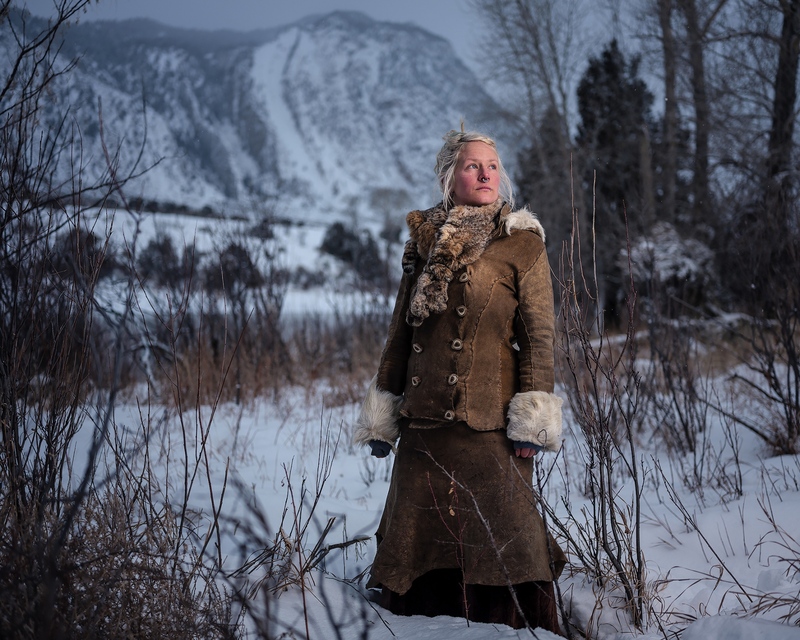 Thus far, I have only photographed the native skills practitioners. 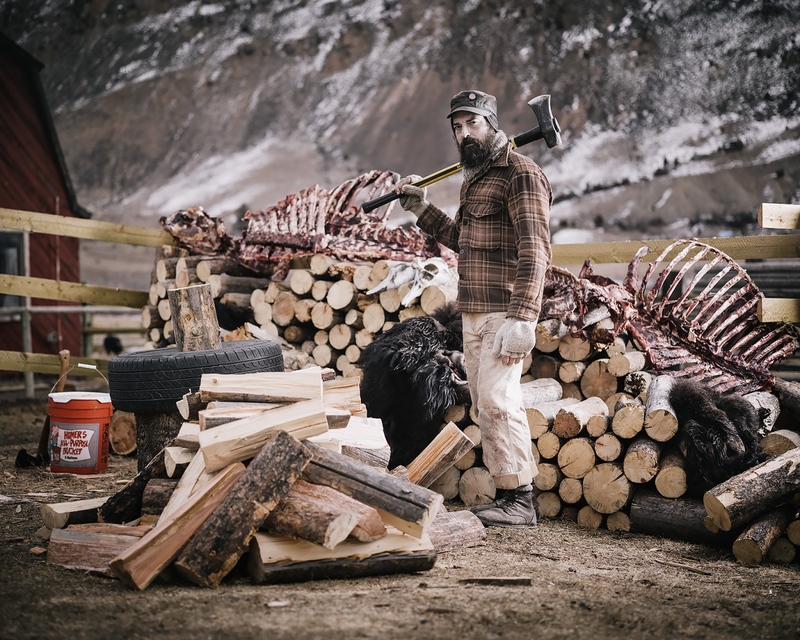 To fully realize this project with breadth and depth, I plan to engage with several of the other organizations involved in the management and harvesting of buffalo. 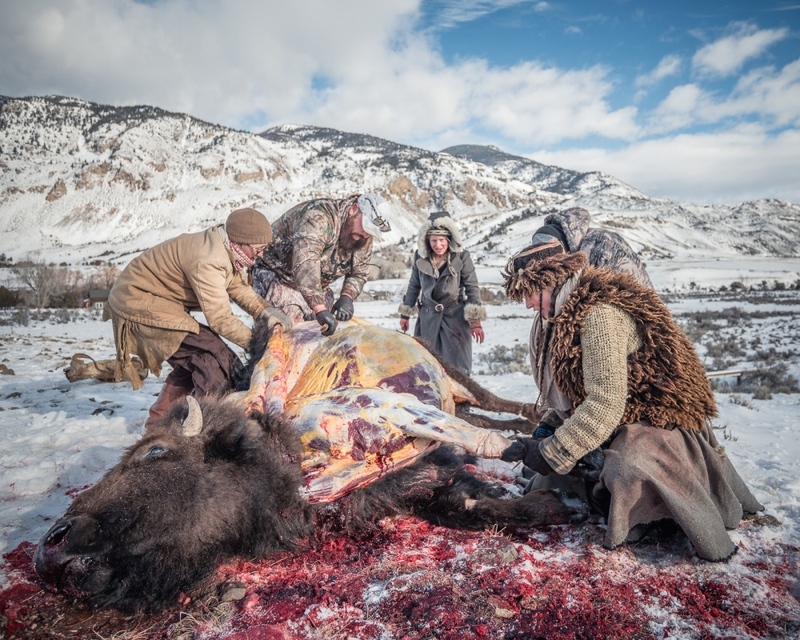 This would include tribal hunters, biologists, ranchers (typically opposed to any expansion of buffalo habitat), game wardens, and The Buffalo Field Campaign ( a volunteer organization opposed to any hunting or harvesting of buffalo). I began this project in 2016. It is ongoing. I assume it will take several more years (seasons) to complete, as the annual buffalo hunt takes place over the course of a one-month period. 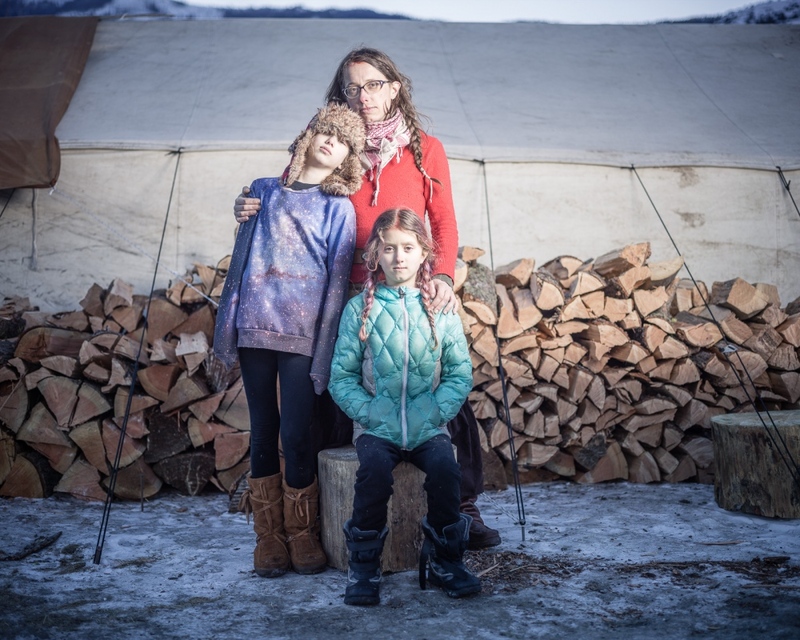 My intentions for this photo essay are to find media outlets such as, High Country News, The Sierra Club, and others for editorial publication. Additionally, I plan to seek gallery exhibition opportunities for photographic prints of the images. 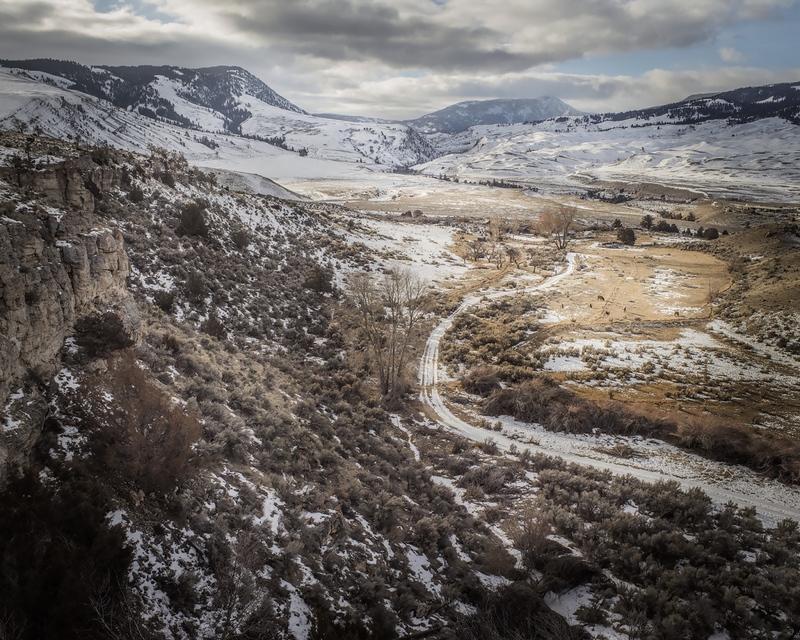 This project will take place along the boundary of Yellowstone National Park in Montana and Wyoming, and at various Indian reservations on which many of the native hunters reside. 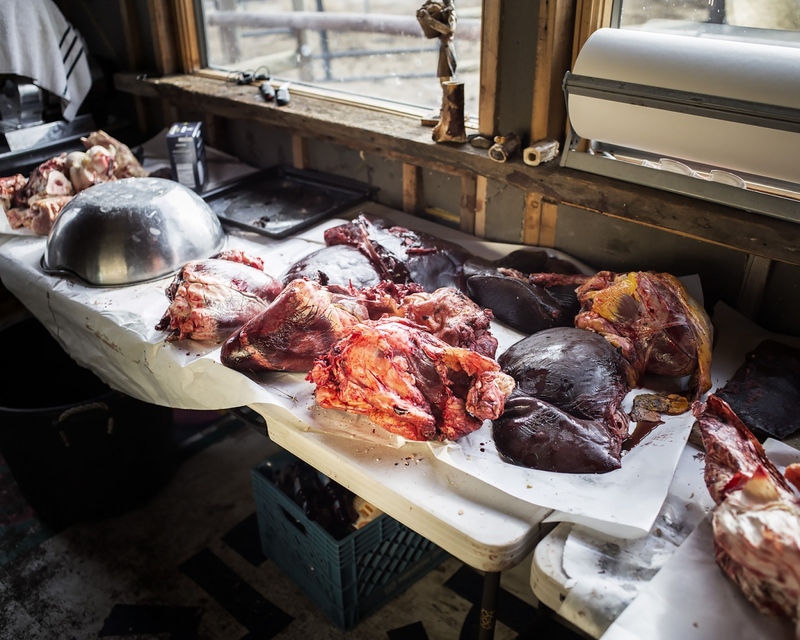 I find the annual buffalo hunt to be aesthetically, narratively, and politically compelling to a degree that all three of these facets are worthy of being examined and presented. 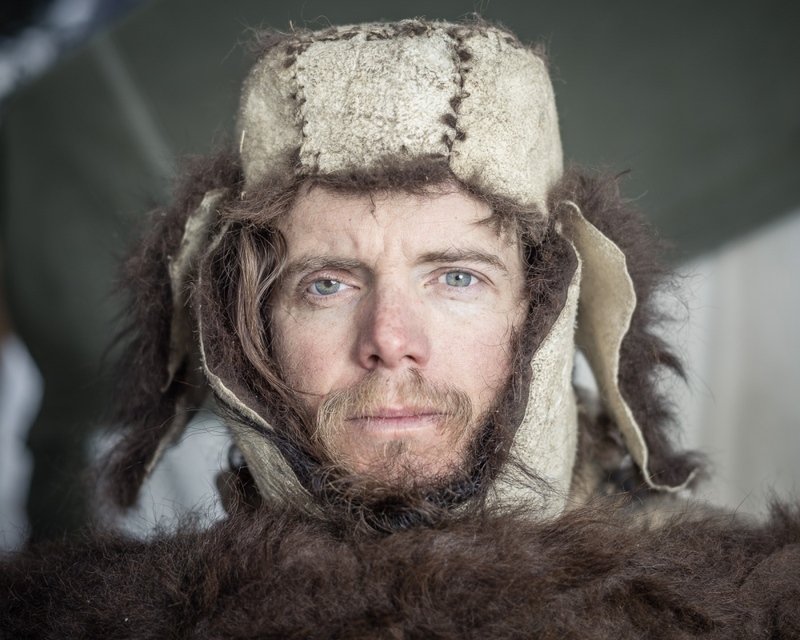 Admittedly, my primary interest is in the aesthetic sensibilities of photographic portraiture. 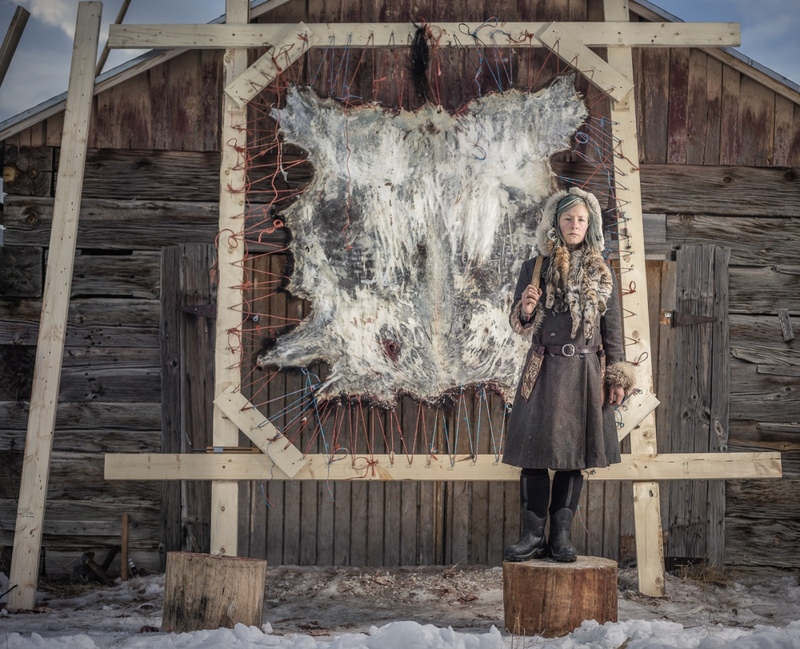 However, I feel that the narrative context of portraits can have far reaching implications beyond the scope of photography, as they engage in a narrative depiction of underlying complexities. 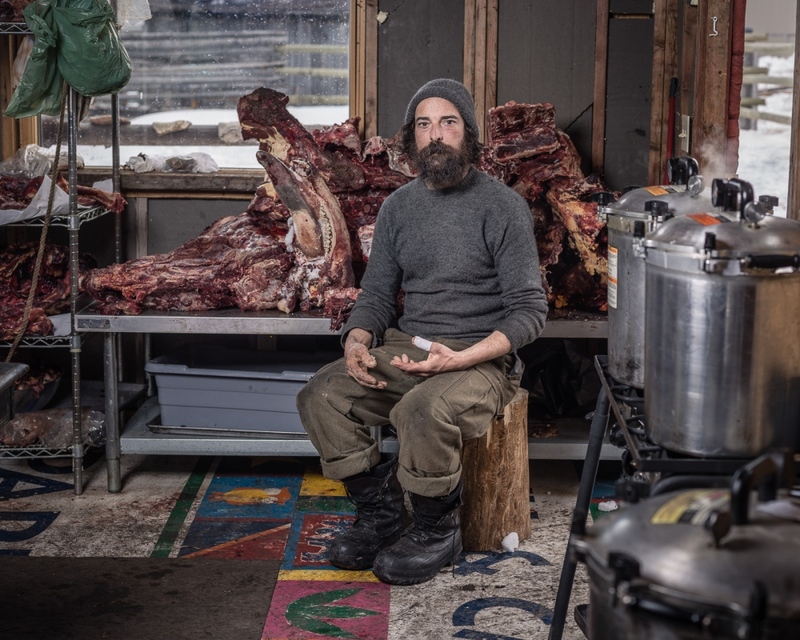 Much of my recent work involves a collaborative effort with my subjects to create portraits that vacillate between journalistic documentation and staged portrait. 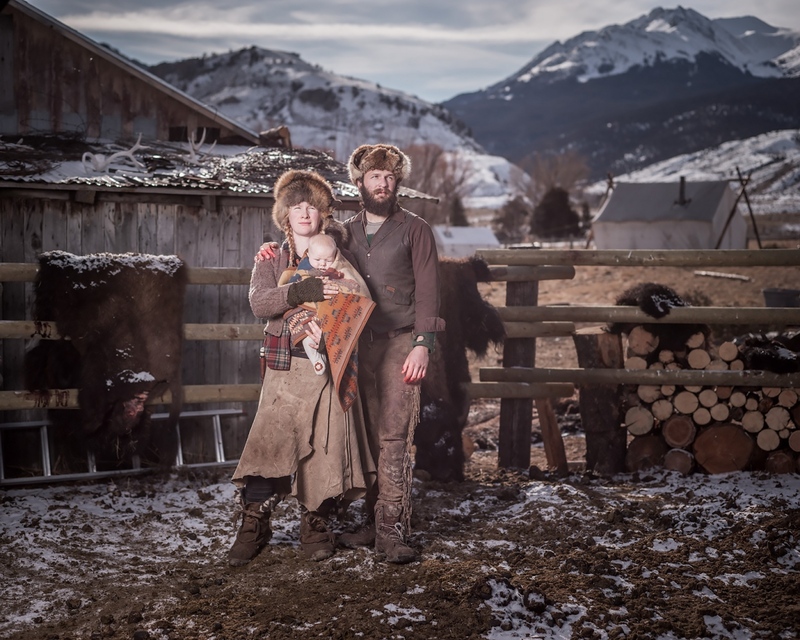 Recently, I have been using studio lighting techniques to photograph people I meet along Montana waterways, capturing them under the reverent light and aesthetic of commercial photography. 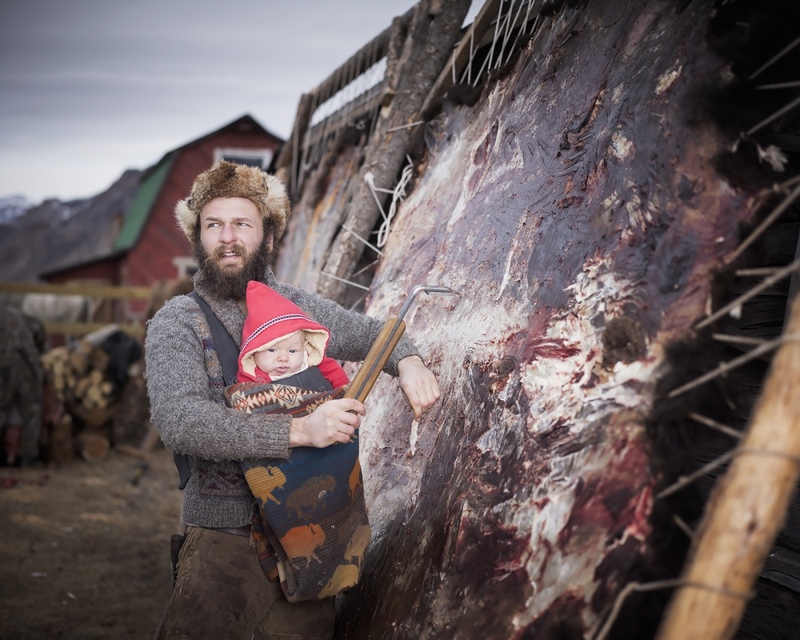 Admittedly, the images suffer from and embrace all the problems of exploitation and objectification from which photography has always suffered. As I focus on young, semi-inebriated figures in, The Water’s Edge, and a group of naturists in, Gymnosophy, who are most likely unaware of what they are giving away, my interest lies in what they present to the camera, intentionally or subconsciously, and what the viewer takes away. I wonder what psychological depth the photographs might contain. For me, there’s something about their youth, their vulnerability, their potential, and what they really look like in that moment that presents a certain beauty. 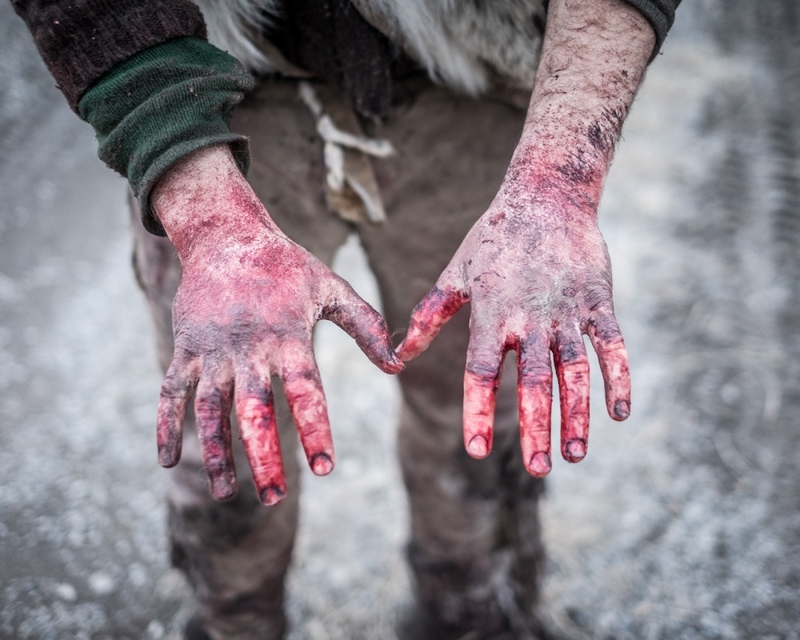 Additionally, I am fascinated by the inherently Western aesthetic present in the idealistic lifestyle of a small group of primitive skills practitioners I have been photographing in, The Gleaners.